For over a century, classic British motors have been synonymous with style and class. 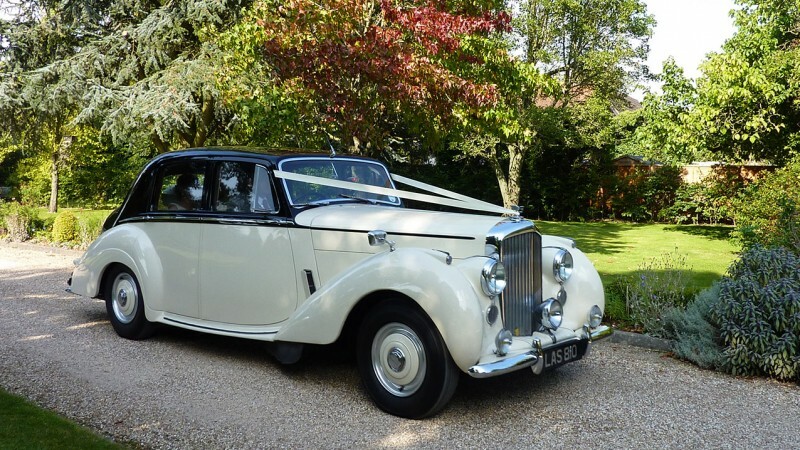 A British wedding is a traditional affair, and one which wouldn’t be complete without a beautiful classic car to transport the bride and groom in peak style. Nothing says style and classic like one of the British greats, whether it’s a Jaguar, Bentley or Rolls Royce. 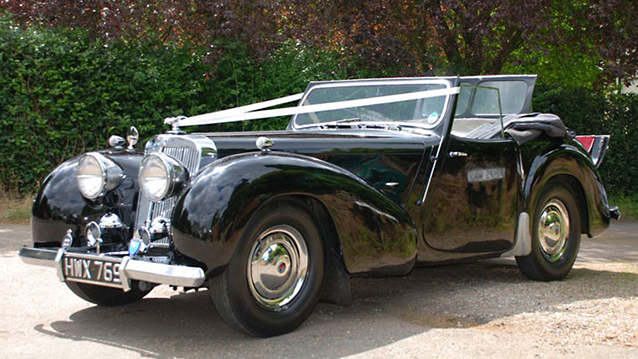 some of those vehicles are also part of our Top 10 Most Popular Wedding Cars. 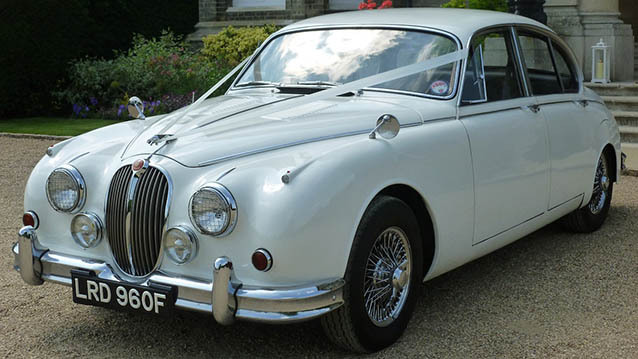 Classic British cars have a reputation for being built with longevity, style and comfort in mind, making them the obvious choice for a wedding car. Despite the test of time, classic cars never seem to go out of style and remain one of the most tasteful and popular options for wedding transport. In this blog, DM Historics, specialists in the sale and restoration of classic cars, share 5 favourite iconic British wedding cars. For more than 100 years, Rolls Royce has had a reputation for building extravagant and elite cars that stand the test of time. One of the most prestigious cars ever built by Rolls Royce, the Silver Cloud remains one of the most iconic and stylish classic wedding cars today. With a roomy backseat perfect for brides in their fabulous wedding dresses, stately lines and beautiful curves, the Rolls Royce Silver Cloud is the ideal car for any wedding, traditional or otherwise. Jaguar are still manufacturing some of the most luxurious and coveted cars around the world (see F-Type, XK and more), and have been doing so since the 1920s. The MKII has always been popular as a wedding car, thanks to its effortless elegance and status as a timeless, luxury vehicle. Complete with opulent interiors, large windows and stunning lines, no bride and groom can go wrong when choosing the MKII as their wedding car. 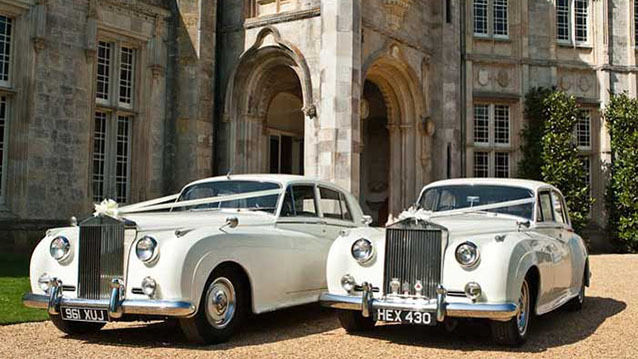 An overwhelming number of couples want a Bentley as their wedding car, and it’s easy to understand why. With it’s shiny and impressive chrome grille, vintage body and infamous wheel arches, the R Type has been iconic since it was first introduced in 1952. A classic choice for a wedding car, the R Type never fails to wow wedding guests and add that extra touch of elegance to your big day. 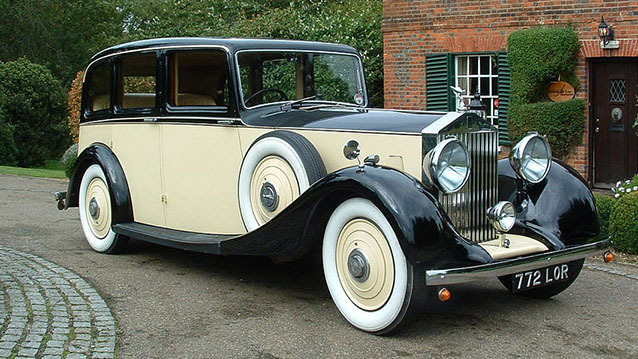 Our second Rolls Royce in this list, the 20/25 has been one of the company’s most popular and successful models. The perfect car for lovers looking for a vintage touch, the 20/25 offers old-world elegance, antique charm and style unique to the 1920s and 1930s. With luxurious interiors, beautiful engine sound and glossy paint, the 20/25 is perfect for unforgettable wedding photos. The Triumph Roadster is perfect for couples looking for something a little different on their wedding day. The Roadster is a stylish convertible with “dickey seats”, perfect for whisking away the bride and groom after taking their vows. A delightfully quirky and unusual pre-war car, the Roadster is full of curves and chrome, perfect for a summer wedding in the English countryside.